Thank you for visiting and wanting to learn more about yoga and holistic living. Yogini . Yogapreneur . Avid knitter . Bookworm. Hippie Franco-American Mom. A few choice words can only share a piece of the story but I hope to inspire your yoga novel not all of mine! Teaching yoga is my happy place. My yoga classes and events are creatively inspired by my love of self-inquiry and creative self-development. I am always inspired to uplift students with sequences inspired by themes around creative self-expression and self-care. No two yoga classes are ever the same. I take every student that shows up into careful consideration and adapt each sequence to the students’ physical and emotional needs. 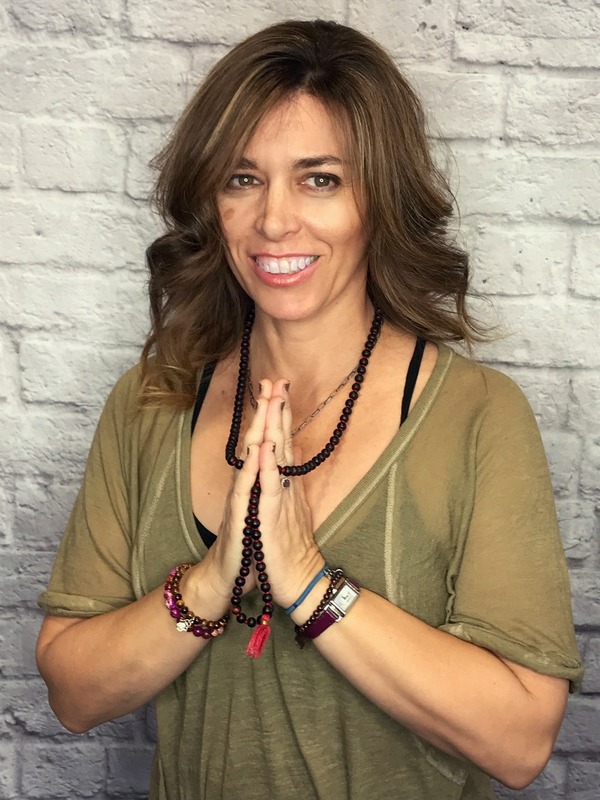 I offer instruction and services for those wanting to discover a holistic way to practice yoga which may include chanting, meditation, creative visualization, Reiki and aromatherapy. If you want to join the inner sanctum and cat community sign up here! Receive a monthly digest of what events live and on-line are happening . Get free tips, tutorials and inbox goodies to enjoy at your leisure on your mat. Happy yoga travels to you. This is YOUR yoga journey – I am but your grateful, humble sherpa. Receive your own essential yoga class training today! Cat Macary © 2019 All rights reserved.